​INTERNATIONALS INJURIES, A BLOW TO FPL MANAGERS. These stars got injured over the internationals. 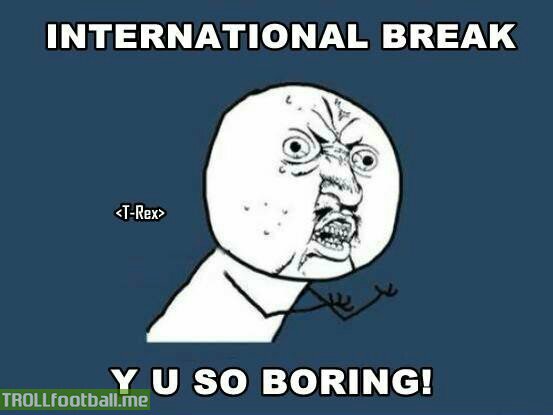 The Internationals should end already!!! Fpl managers teams are already thread bear with a few more internationals to go as of the time of writing. So who are the notable casualties of international break injury curse? The unlikely hero from game week 7 has suffered the infamous international break curse. With Pogba out injured for a while, Fellaini was starting to turn heads as a potential fpl asset already being brought in by an unbelievable 105,111 managers. The over 100k managers who brought him in were hoping for a repeat of his 2 goal haul from the player who has been christened “Fellamessi” and “Fellandinho” by his staunchest of believers. It however is surely not going to be, Fellaini hobbled off in the 29th minute against Bosnia & Herzegovina and the Belgian national team has tweeted to confirm his knee ligament damage and early indications are that he could be out for a fortnight in the best case scenario. Another Manchester United first teamer who is unfortunate to be in doubt for their match against bitter rivals Liverpool. Jones was sent back to Carrington (Manchester United training base) even before he kicked a ball for England, continuing his annoying history of niggling injuries. The center back is yet to miss a single minute for Manchester united in the league this season partnering both Bailly and Smalling to devastating effect, keeping 6 clean sheets in 7 matches. The 9.0% owned defender has already been drafted in by 33,238 new managers despite the lingering doubt over his availability for this weekend and the obvious lingering threat of the ever improving Victor Lindelof who had an impressive international break with Sweden. Jones could play this weekend for all we know, seeing as he played against palace despite having a knock before that match. Yet another Red Devil on the list! Jose Mourinho must be cursing his luck with the internationals. It is understood Lukaku was already carrying a knock even as he played against Crystal Palace where he scored United’s last goal to take him top of the golden boot race with 7 goals. However, I get this sneaky feeling that Mourinho might have had designs for this “injury”, looking at how convenient it came allowing his star striker a deserved rest over the international break. Jose is the master of controversy and I wouldn’t be surprised to see Lukaku as fit as a fiddle warming up for the Liverpool game. I just don’t know how his owners are planning to hold on to him or let him go, for me, the answer is simple, I am not flogging Lukaku, he has lost 0.3% of his owners and he is now owned by 59.7%. The Norwegian was very impressive scoring 2 goals for his national side before being withdrawn barely 15 minutes into the second half. He was excellent towards the end of last season and he is really showing signs of promise a few weeks into the season despite not being in very prolific form so far with a solitary goal in seven games thus far. His withdrawal is most likely a precautionary measure more than anything else but hey, just giving you a heads up that he is flagged as likely to miss the next match. The Ghanaian winger is still yet to be at his prolific best and has only a goal and an assist for Newcastle who started the season struggling with the quality of the premier league. He entirely missed their last match against Uganda which ended in a goalless stalemate. Atsu has found his way into many fpl squads thanks to his lowly £5.0 pricing and the fact that he is more or less a guaranteed 90 minute player for Newcastle. The problem comes if you had decided to put Atsu in your first 11 because of injuries to the players you’d normally play ahead of Atsu, he might as well disappoint you so you better be watchful as the deadline arrives. I know you might be shocked to see his name in this list since he plays defensive midfield the blues. If his appearance in this list comes as a shocker to you, hold your breath for the statistics I am about to give, he has been acquired by 37,588 new managers since the last deadline ,if that is not a shocker enough, he sits pretty in 1,067,590 of teams which translates to 20.8% !. First of all, why is Kante in your squads guys? He limped off France’s, match away at Bulgaria in the 34th minute in what is looking like a hamstring injury. He most likely will not be ready to feature for Chelsea against the hapless Crystal Palace, adding to Conte’s headache having already had Morata pull his hamstring before the internationals. Luckily or unluckily, those are the players who are crocked with a few more matches to go before we get back to the league we all love, EPL. Be sure to look out for my final comprehensive list on players whose injury you should know about, ADIOS!!! Next Next post: Romelu Lukaku a must-have striker in Premier League fantasy sides.